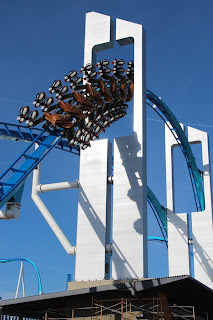 NewsPlusNotes: Scott And Carol Present - GateKeeper Testing! 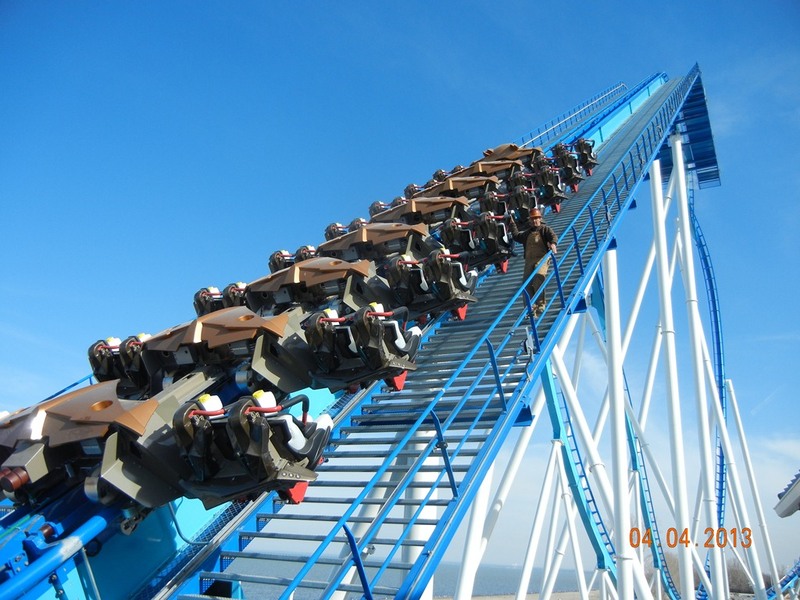 Here's a great view of the train climbing Gatekeeper's 170 foot lift hill. 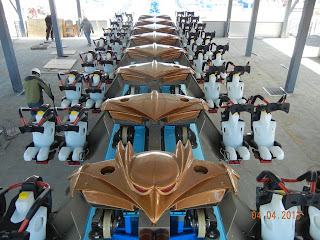 Any volunteers to replace the testing dummies? 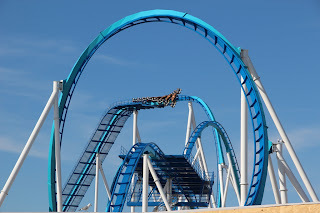 The wind chill will be crisp. 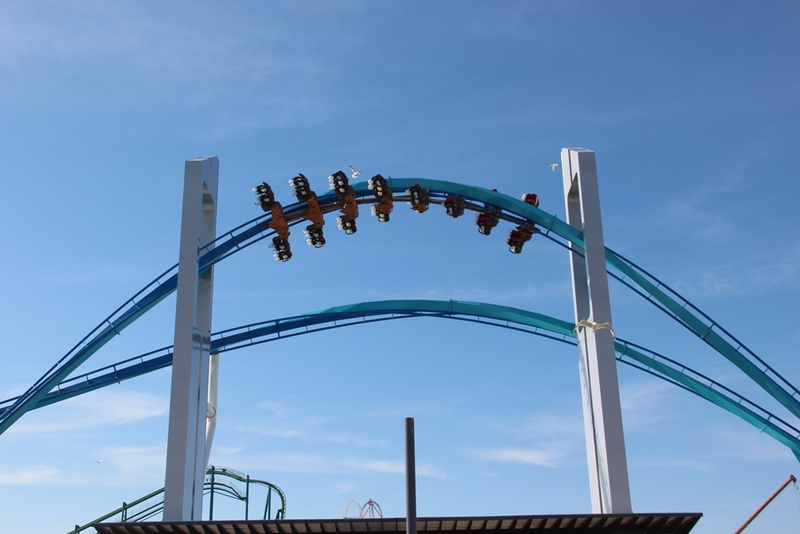 GateKeeper takes flight as a part of the initial testing procedures before the coaster and park open for the upcoming season on May 11, 2013. 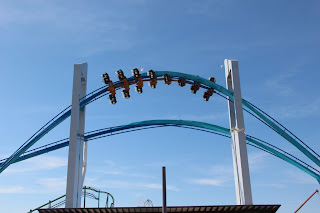 Gatekeeper will help Cedar Point break seven world records when it debuts with the rest of the park on Cedar Point's Opening Day. 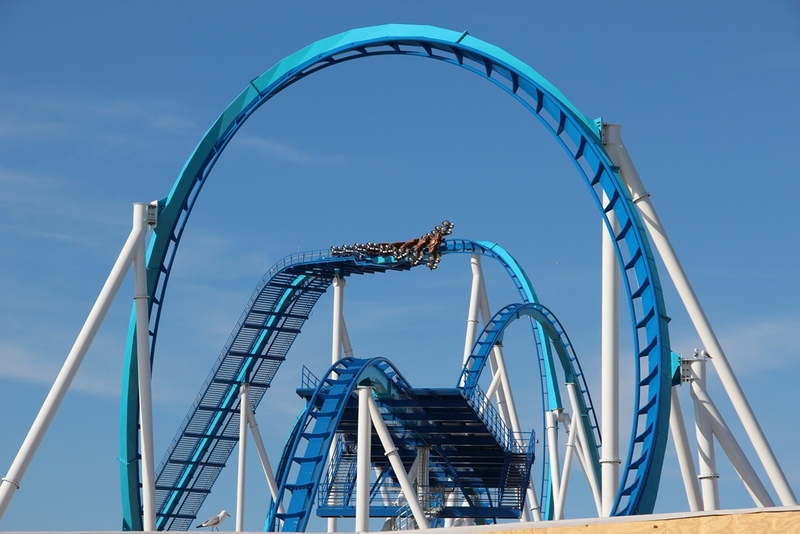 Like many of Cedar Point's roller coasters, GateKeeper will offer some photo hot spots! This double keyhole element is probably the most anticipated section of the roller coaster's layout. 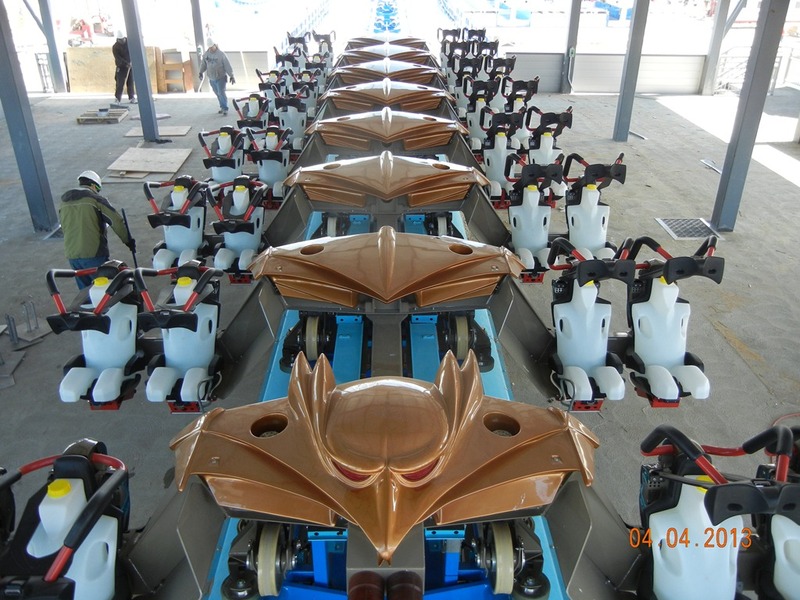 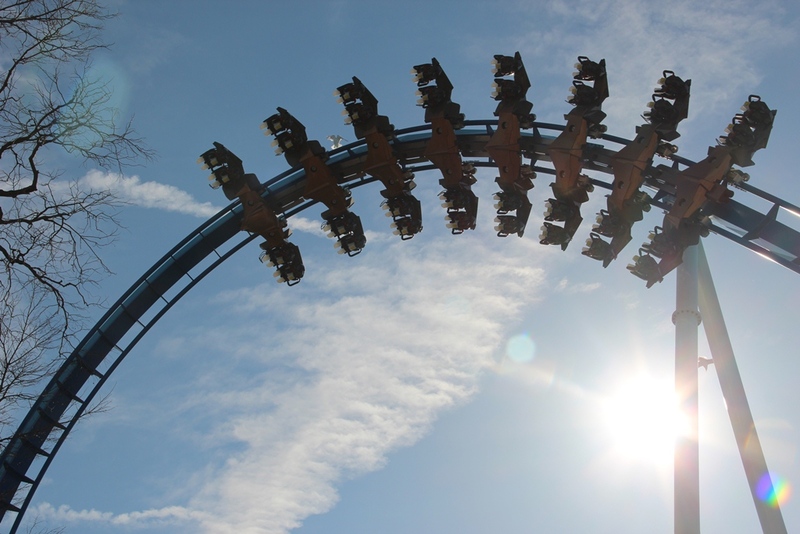 Many thanks to Cedar Point's Marketing Programs Guru Bryan Edwards for sending us these awesome photos of Gatekeeper. 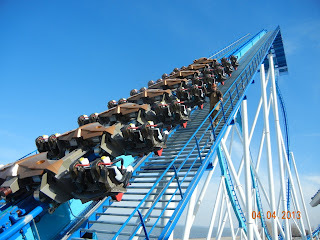 The snow is finally gone and Cedar Point opens to the public in just 36 days!